But how do you check out your future abode before actually arriving? You can’t. In my experience, it’s best to have extra funds and find temporary housing before settling into permanent living quarters. There are several ways people achieve this. The most popular way requires finding a hostel and camping there for several weeks while searching for housing. I have encountered expatriates who have successfully traversed this route with little to no issues – the hostels are not a great long-term solution, but they can give you the time you need to inspect prospective real estate. If you have any connections in the city you wish to move to, I highly suggest using them. Coming out of college with a handful of debt and a lack of cash, my luggage was limited by the strict weight requirements administered by the airline I flew with. Basically, I had two carry-on pieces stuffed to neck-breaking capacity, and a packed suitcase that was checked. All of this was pre-weighed. Of course, if you have the money, you can ship additional luggage or pay the airlines additional fees for another 50 pound suitcase. I did not have very much money and I ended up traveling with surprisingly little luggage. If only couch surfing for a couple weeks, most good friends won’t object to your presence, especially if you only have a limited amount of baggage to clutter their home with. Connections in a foreign country can make a world of difference. Not only can they warn you of the ins and outs of local shopping and dining, but they can provide you with the inside scoop on decent housing. For those without immediate Taiwanese friends, there are always websites with housing offers. If you can read Chinese, there is PTT BBS (https://www.ptt.cc/index.bbs.html), a giant Bulletin Board System, or forum. 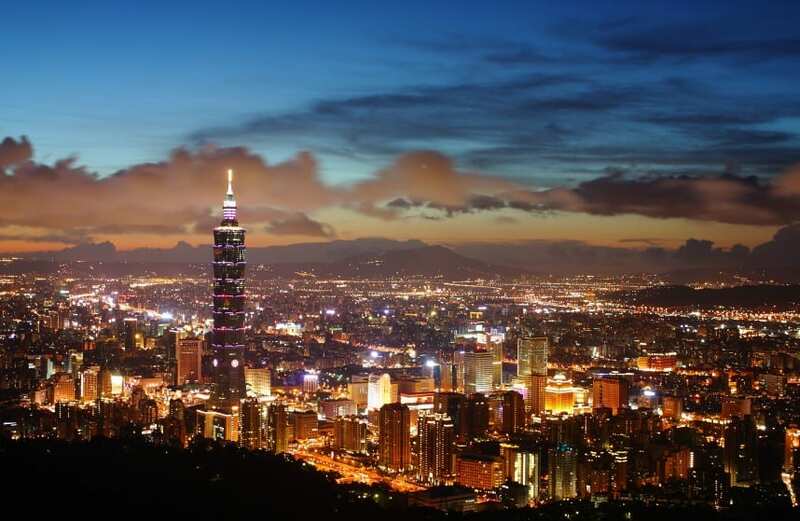 If English is your thing, Tealit has some good offers, but is limited to certain popular regions, particularly Taipei. I have met various individuals whom have found housing through Tealit and all of them appeared amiable enough. Most speak English generally well and a good chunk of them are expatriates themselves. Once again, I cannot emphasize enough how visiting the living situation and roommates is important for your future well-being. Some schools offer housing too. Be wary of these deals! While in Taiwan this isn’t as much of an issue as say, in China, one cannot be cautious enough before accepting any of these contracts. Surfing the net alone can provide horror stories of scam schools that try to provide the cheapest living arrangements possible to offset the high wages of a foreign teacher. If you must have the peace of mind, knowing that you will have assured housing and employment before even leaving your front door, at least make sure you see photos or a video of your future home. I requested this information once, from a school in Harbin, China, and the school never responded back. It turned out to be a good indicator of an untrustworthy school. OnTESOL’s online TESOL certificate program is excellent for Taiwan!